For those who don’t read ebooks, Dressed to Kiss, the new anthology with novellas by me, Caroline Linden, Megan Frampton and Myretta Robens, is available as a POD trade paperback on Amazon and other sites. Also, as an English language ebook it can be purchased on Amazon’s international sites around the world, including Brazil and Mexico. This is the first time one of my works was available as an ebook so quickly for international readers! The winners have been picked at random, and have been contacted by email and claimed their prizes. Congratulations to Teresa A; Kimberly O; and Marsha H. Thank you to everyone who entered! 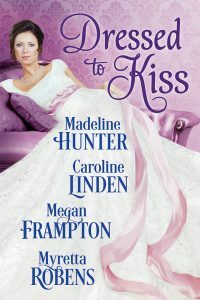 To celebrate the release of Dressed To Kiss on September 12, the authors, Caroline Linden, Megan Frampton, Myretta Robens and I are giving away, to three readers, THREE gift bundles. 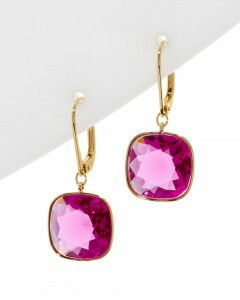 The Grand Giveaway is a pair of Swarovski earrings, one $20 Amazon gift card and one 3-book bundle. 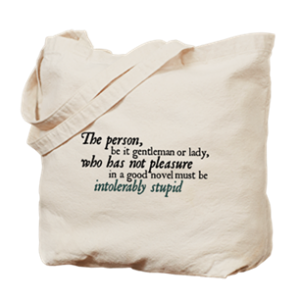 The second gift bundle is a Jane Austen Tote Bag from The Republic of Pemberley and one 3-book bundle. 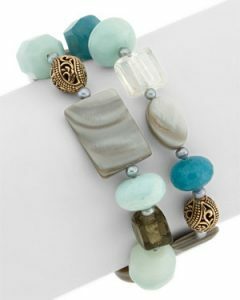 The third gift bundle is a gemstone bracelet and one 3-book bundle. Enter via the Rafflecopter below. You will be entered in all three giveaways. Winners will be posted and will receive one of the above giveaway bundles. You can click on the arrows at the bottom of the form widget to review the giveaway bundles. No purchase required to enter. Due to the varied laws of other countries, entry is limited to residents of the USA (sorry!) Giveaway ends at 11:59, EST, on September 23. Winners will be contacted by email. If a giveaway is not claimed by September 28, another winner will be chosen. Winner’s posting name will be posted here, at the top of this post, once prize is claimed. Only the prizes listed can fulfill the giveaway—there will be no cash alternative. Entrants must be 18 years or older on the date of entry. Void where prohibited by law. Posted in Contests and Giveaways, News | Comments Off on Dressed To Kiss Giveaway!